We invite you to join us for our 2018 Circle of Love! On Saturday, December 1st, 2018 at 4:30 p.m. the ceremony will begin. 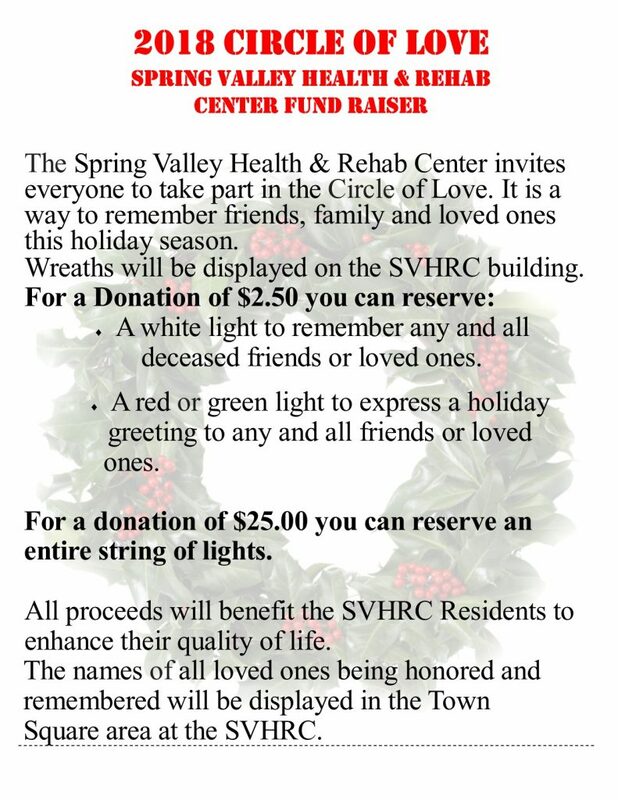 The Spring Valley Community Choir will be providing music along with the reading of the names and the lighting of the wreaths.